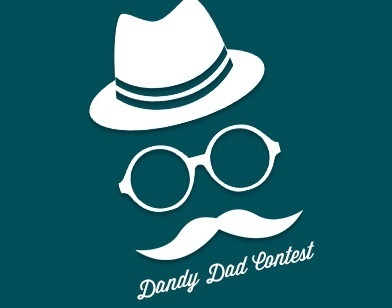 contest jabong Dandy Dad and Kids! This blog post is about a doting father and his two children who meant the world to him. But these children considered him as their universe. Such is the love between the father and the kids. Behold, the father in this blog post is none other than my dad and the children are myself and my loving sister. A father is the support structure for a family. He is like the Prime Minister of the family who has to look after everything. His role is a critical one! My father has a critical role in my family too! This blog post will be too small to list down the love and the respect that we hold for our Appa. We both fondly address him as Appa. None of our achievements can ever match his sacrifices. Tears roll down my cheeks when I remember the old days where dad worked hard for me and my sister. I can't explain all that in mere words. Those days we used to live in a small house. We didn't have much facilities at home. All that he cared was about our happiness. Those days he used to walk till his office that was located at distance of about 1.5 km from our home so that he could save the ticket amount and get something to eat for both of us. Many times he would hide his feelings. Our happiness blinded him so much that he never wished for anything else in this world but our happiness. He cared for us and at times it would make us go speechless. Like I said before , a fathers role is important in a family. He ignores his happiness for ours! How often do you see him smiling? While doing so , my father hides all his pain behind those animated smile just to see both of us happy. He struggles and readily accepts the struggles and challenges to raise us in a better way. Being the oldest child, I have grown up seeing all those sacrifices that dad has made for us. But many times through words and actions we have hurt him too. I take this opportunity to say sorry to my father on behalf of both of us. We love him and his love is the only support that keeps us going! In my 26 years of existence in this world, I never saw my father wearing nice clothes though he got us lovely clothes and dresses for my sister. I always saw him in formals - a formal trouser and a full sleeved shirt, tucked out! All these years he never thought of changing his style nor his looks. He remained simple. He is a simple, tall, long faced with thick Anil Kapoor moustaches. I have always seen my dad like that. That's one thing I liked about my Appa! He never changed! He would buy us nice stylish clothes for us to look good but he never cared about his own looks! We would insist him to change his dressing styles but he would never listen to us. At times he would ask both of us if his shirt matches the trouser and so. But every time we would secretly wish if he listened to us! But he never! Is it fair from his part to love us unconditionally and keep us happy in all the difficult situations in our life and ignore our wishes? We always wished to see him cool. After all he is our dandy doting daddy! He is the smartest and the most handsome dad one could ever have. But if groomed well, Appa would be a rockstar! So me and my sister sat down and decided to style our dad! Dad always looked cool in formals so we thought that he would look more cool if he wore casuals. So we came up with this below. 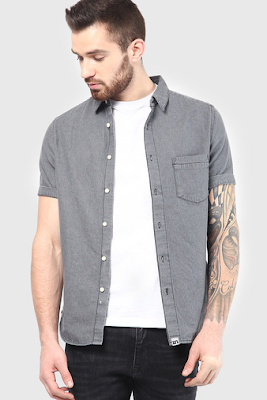 A cool Incult grey denim casual shirt. This is for a dad who always wore formal dresses. His two kids decide to infuse some fashion sense into him. So whats next? Of course the shoes. 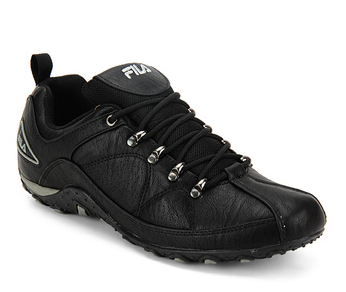 The Fila New Percoso Li black shoe for dad. 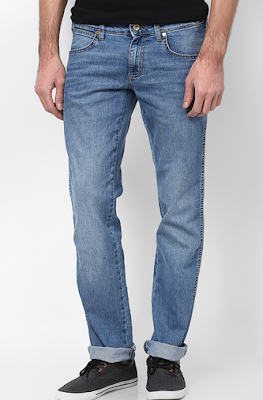 For a daddy who never wore casual shoes, lets make him wear one! And for the watch - Daniel Klien Dk 10217-4 Black Analog Watch. And thats how we plan to redesign our Dad's look. 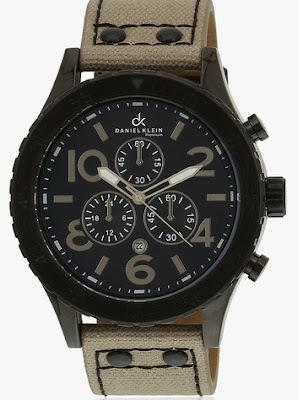 A doting dad needs to look smart too! He loves us, we love him too! 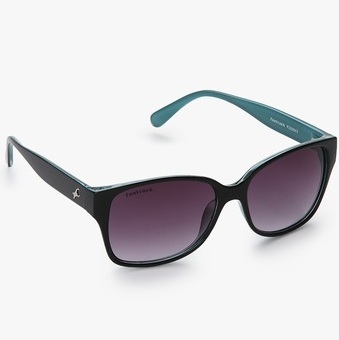 If he wants us to look cool and stylish, we want him to look cool and stylish too! So how does it looks? Is it cool enough for our dandy daddy! i bet such care about your dad's dressing would want your dad to be even more concerned about your happiness! lovely!